If you think your blog stays online, you’re mistaken. At the very core of blogging is building connections. The content you write and the tactics you employ such as link building, social media, writing for different sites, are just some of the best ways to build relationships online. However, it’s no longer enough to just build an online presence. You need to get as much help as you can to build your brand by any means necessary (as long as it’s legal, of course). Therefore, you need to take your blog offline. While it sounds antithetical – after all, blogging is an online activity – you can elevate your brand even if you’re not in front of the computer. As long as you’re making connections with influential and like-minded people, then you’re only helping your blogging career in more ways than one. 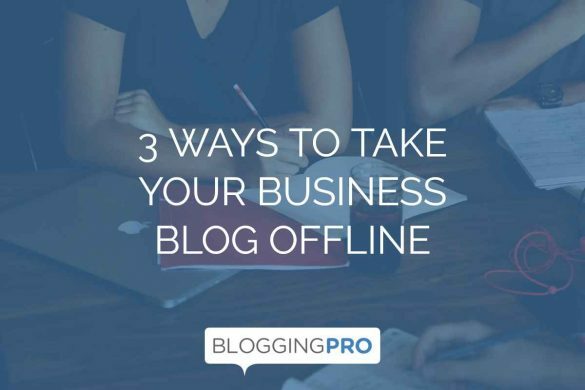 Not sure how going offline can help your blog? Below are ways on how taking your blog offline helps increase your blog’s value and boost your brand equity so you can acquire more visitors and sales. How to transition your online blog offline? Meetups are a great way to meet other bloggers and people who share your passions and interests. It’s also a fun way to step away from your laptop and productively engage in the real world. You can do so by creating a Meetup account and joining groups based on your interests aside from blogging. Groups where you can find bloggers are in the freelancing, food, and tech groups, to name a few. The meetup groups depend on your location. It would be improbable for you to join meetups located on the other side of the world. You can also consider hosting a Meetup group if you want to establish yourself as an influencer in your field. Just make sure to observe the best practices in managing a group. As the organizer, you have the responsibility to get people engaged and involved. Therefore, you need to be sure that you can commit to this goal to make the most out of the group. If you want to establish yourself as an influential blogger, then you need to engage with a great number of audiences by running a seminar. You need to choose a place to hold the seminar, promote it on your blog, and contact people in your vicinity to attend and help you promote the event. Launching a seminar by yourself is time-consuming and the ones mentioned above are just the tip of the iceberg (there are more things you need to consider with a seminar). However, for starters like yourself, you can partner up with local workshops who have slots that you can join to become a speaker or instructor. They will take care of the location and promotion so you can focus on building your presentation. Focus on blogging skills that you can share to an audience. Stuff like making money blogging, how to write content that converts, and getting thousands of traffic on your website are great topics you can start with. If there is a trade expo or fairs taking place near you and you don’t want to become a speaker (for now at least), you can become a sponsor and set up a booth about your business. Setting up an expo is complicated and expensive – you need to set up a custom display, for instance. However, if your blog is doing well (whether you’re a niche blogger or an entrepreneur who dabbles on different blogs), then showing up in a booth on a trade show is a good way to leave a mark in your industry. 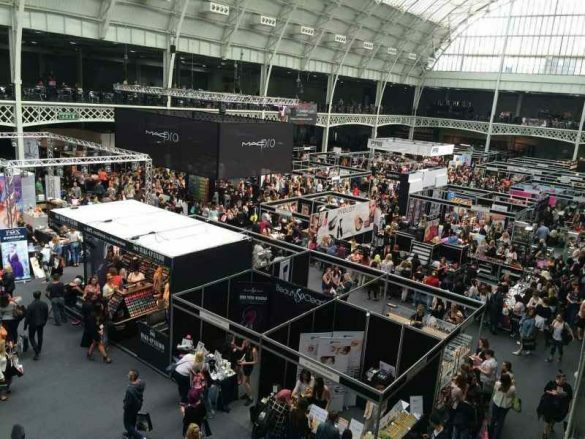 To help you prepare for the trade show, read this post from PR News Online to help you observe the best practices before, during, and after the trade show. Get your content published on offline publications – If you have local newsletters or magazines that cover the activity going on in the community, you may want to approach the editor and pitch the idea of getting one of your best posts published. As long as the post is relevant (or you may have to consider a brand new piece that fits the theme), the editor will consider getting it out there at the very least. Create a physical product – Take one of your best-performing posts and stretch it out into a book that you can sell on shelves. You can also take your blogging journey and turn it into a journal. All you need to do is learn the process of self-publishing so you can monetize your knowledge and experience offline. It’s possible to take your blog offline! As mentioned, blogging is all about building relationships. It doesn’t matter how as long as your efforts are towards the goal of building your blog and brand to greater heights. By following the suggestions above, you can make a bigger impact in the world in general by taking your business and blog offline.